I think of something, through the week, and I decide that will be the point of that week’s blog post. Then I alternately mull over it and ignore it until some nebulous form comes to exist in my head. Then I write it, rewrite it, juggle it all around, try to bring it to some semblance of a coherent conclusion then I put it up. Not this week though. Not this bloody week. This week, my mind can’t seem to settle on any one thing to write about. I’ve found myself jumping from thing to thing, thinking about each thing a bit, moving on, and not reaching any kind of semi-useful conclusion about anything. I figured I’d just write a few lines about each of the things that have been taking up my brain time and see if some kind of linkage or random moral occurs before I press send. I wouldn’t bet on it though, not heavily anyway. Mountains: I went up a mountain the week. My lovely wife and I. It was her birthday week so we took a day out of time and went up Croagh Patrick, our local mountain, known hereabouts at The Reek. I went up it once before, about ten years ago, and I am pleased to say I found it to be a damned sight easier this time. I guess it’s the bit of jogging I do now that I didn’t do before. The Reek is one of those remarkable places. Beautiful but daunting. Achievable but scary. Possible but only just. People talk to each other as they meet on the mountain. They tell where they have come from and how they are getting on. It’s as if some mysterious lodestone deep within the bedrock draws their intimacies out of them. It’s rather nice. Memories: This week, I took custody of all the photo albums that my Dad left behind when he passed away. They’re in the hall in a series of boxes. Everybody is in there, younger and (in some cases) considerably more alive. I’m in there, getting married and having my sons Christened – a moustached greyhound of a young dude who I hardly recognise anymore. My wife is in there too, she hasn’t changed a bit. It’s funny how photos from within my lifetime, which I remember, do not seem half as old as the photos which were taken just before my time. That may seem blindingly obvious but the difference in perception is huge. The people I knew, frozen there in their Polaroids, are real to me such that they might ring my doorbell at any moment and come in demanding tea. They won’t of course, they’re long gone. Having studied some of the photos for a while, I would offer a word of advice on when it comes to having your own photo taken, even if it’s only a boisterous group-selfie. Smile. Give it large to the camera. You never know which photo may come to define you to generations of your family to come. Make it a good one. Magpies: I stopped outside my house the other evening and enjoyed the sight of a large Magpie doing battle with his reflection in a neighbour’s window. 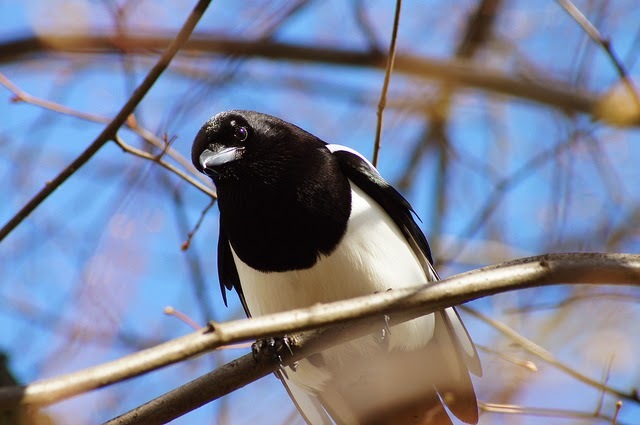 The Magpie must have somehow sensed my appreciation because he’s been coming over and doing it to my windows ever since. He starts early. Six thirty on Saturday morning it was and him doing the rounds of every window in the house. “What is this box,” he must wonder, “ stuffed full with my brothers and each as belligerent as me.” His tapping sounds like my Uncle Willie coming to visit at my childhood home. He was too familiar to ring the bell so he would tap meaningfully on the glass. When the Magpie calls, I feel a fleeting urge to go and let Willie in. Mothers: Ah yes, it’s Mother’s Day and I’ve written about that before so I won’t go too far along that road again. Seeing my own boys collect themselves and troop down with card and chocolates, I’m just reminded of how different a responsibility Mother’s Day is when the Mother in question is no longer alive. When she’s here, it’s a matter of fulfilling some perceived expectation. A delivery of a small gift, a visit. It’s an observance. The appreciation, the true appreciation only starts to come when there is no hand to place the gift in. Then the gift becomes something altogether more pure; memory, appreciation, regret. A shame we can’t do it better when the Mother is still here to know it. That’s it. A random collection of thoughts from a week, any of which could have been bloated up to the customary 800 word post. It just didn’t feel right to do that. But what links them, ties them together? What was my subtle obsession that, this week, herded my thoughts through these gates? I feel there is something… something about time and passing and regret and valuing things… but I don’t quite grasp it. Not now. Not yet. For now, I’ll just go with the most obvious link and say to you, with a smile, that this week’s post was brought to you… by the letter ‘M’. I’m aiming to raise a smile with this post so bear with me if you can. A couple of weeks ago, I was lucky enough to be at a theatre writing workshop given by Gavin Kostick, 2014 winner of the Irish Times Award for Best New Play. It was really good. One of the things we looked at was a poem by William Carlos Williams called ‘The Last Words of my English Grandmother’. You can read it by clicking here if you like. In what is probably a gross over-simplification on my part, William Carlos Williams (among other things) worked to avoid devices like simile and metaphor in his writing, preferring instead to employ a pared down verbal reality with roots in the way people actually spoke. Having looked at this for a while, we were packed off to evoke a personal memory of our own in as ‘pared down’ a style as we could manage. Most of the group came up with pieces that seemed inspired by the rather elegiac poem we had looked at. As for me, as is often the case when I try to haul up a memory for the depths, it was a sort-of-a funny one that came along. A little memory from school days that hadn’t surfaced in a long, long time. So, today, just for fun, here’s my memory, presented in my best William Carlos Williams Tribute-Style. and broke his blackboard compass in two. where blackboard North and South is. 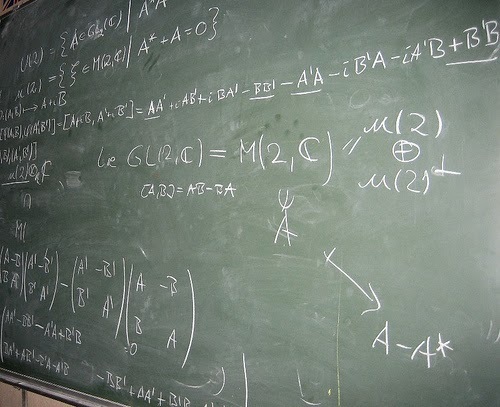 and borrow his blackboard compass for me. Mr Cosgrove had a moustache. I asked him for his blackboard compass. in front of his class. There’s this thing call ‘The Blogging Tour’ where writers with blogs pick up a baton passed by another writer-with-a-blog, write a bit about themselves, and then pass the baton on. William Gallagher passed the baton to me. You can read his 100 metre sprint if you click here. I like William, mostly because he’s my friend and is nice to me. Normally I wouldn’t do this kind of thing because I’m the type of creature who only comes down to the waterhole when it’s pitch dark and all the other animals have gone to bed. But, like I said, William is a pal. He’s also a pal who’s a great writer so back up a bit, on this here blogging tour thingie, and go and ‘set a spell’ with him on the porch of his lovely blog over at: http://williamgallagher.com/selfdistract/ . I don't think you'll regret it. Instead of passing my baton (slightly sweaty) on to three more writers, I’ve only passed it on to two. This is not because I’m a lazy git (oh, no… gathers thoughts), it’s because these two are worth any other three writers around. With a bit of luck, they will do a post like this (though better obv) next Monday and you should go and see what they have to say. In fact, go now and see what they’re saying this week. It’s probably better than the auld shite I'm about to do. 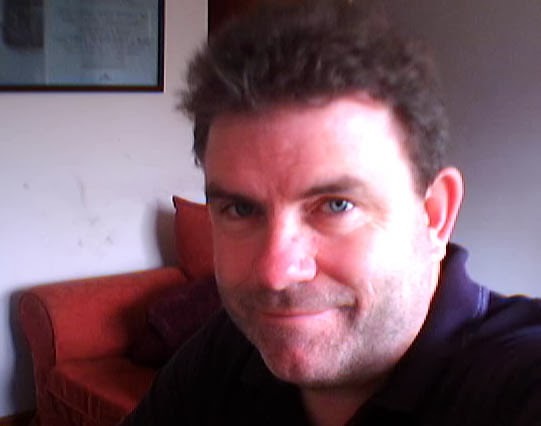 Paul Carroll is a writer from Dublin. He is also a qualified teacher, a part-time bookseller, a director of student Drama, a video blogger, and an uncle. 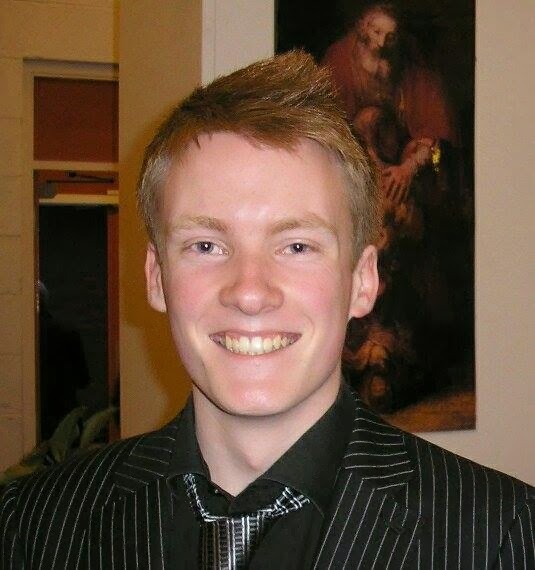 He has been writing since the age of twelve, with a love of words going back further than he can remember. When he isn’t reading or writing, he likes to make use of social media, bake, and talk to friends. Often, he’ll watch a horror film alone in the dark for the sheer joy of it. Annmarie Miles is a committed Christian married to Richard. Annmarie's writing, for many years was of the song persuasion. She started blogging in 2007 and says she used it to "think out loud" for a few years. In 2010, after being offered a regular column in VOX Magazine, Annmarie realised that it was time to take writing seriously. After her first piece of fiction was completed there came another... and another, and since then the stories have flowed every day. 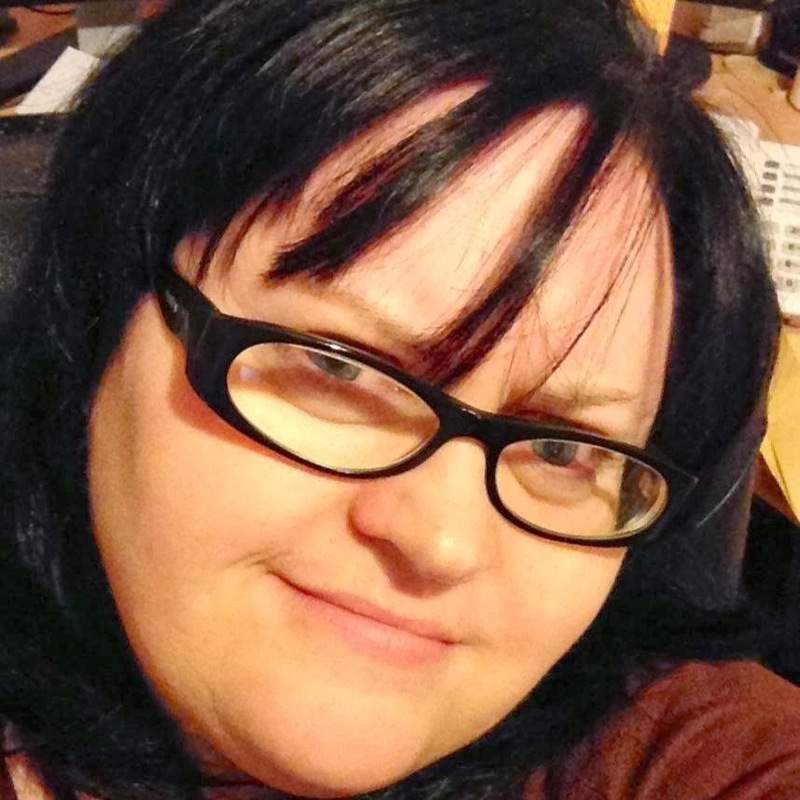 In October 2013 her story series 'Lizzy,' which was written as part of a daily blogging challenge, began as a serialisation in The Echo newspaper. Her first collection of short stories ‘The Long and the Short of It’ was published in November 2013. Two lovely people. Remember to check in and see how they choose to play this game, this day next week. Now… I have to answer some questions, don’t I? Okay, deep breath, here we go. A desk. I’m working on a desk. Okay? Next question. All right, all right. I never talk about what I’m doing so this bit doesn’t come at all easily. Let’s keep it simple and say I'm working on three things. Firstly a new book based on a theatre play of mine. It’s quite enclosed and it all happens over a very short timescale so it’s challenging and I don’t know how it will work out. This is my second attempt at a novel. I thought my first was pretty good and so did a few other people but nobody except me loved it enough to try to make it a marketable thing. I learned a lot from writing it, though, so maybe this next one will be better. Secondly, there's a radio play which is tentatively called ‘The Comeback’. It is possibly the most audacious thing I have ever written. I always try to write my radio plays as movies and, if this one is a movie, then it’s going to be an 18 Cert exploitation flick which is jam-packed with all sorts of violence and crudity. I’m having a lot of fun writing it. Lastly, I’m working on ‘The Thing’. I’ve been working on 'The Thing' for two and half years now and, at any given moment, it could either fall apart completely or it could become quite excellent. I can’t tell you what ‘The Thing’ is but I hope it works out and, if it doesn’t, I’ll get over it and move on, just like I always do. All I can do is tell you about something that I’ve learned to do that I don’t think everybody else has learned to do yet. Many have but not all. It’s this. With everything I write, I metaphorically prick my finger and squeeze a droplet of my own blood into the writing. For many years I didn’t do this. I just concocted stories and scenarios without any real heart or without any real blood. Now I poke around a bit in my veins and my arteries and I try to find what warms or scares or saddens me personally. Then I inject a bit of that in. Increasingly, I’ve found that the more honest and searching I am, the more people respond to that. I think I like to give voice to subtle elements of common-ground that most of us share and I know when I succeed because people tell me so. I write late at night, mostly, and on weekends because I make most of my crust doing other things. When I get in the zone, I lose time and I find I can type. When I’m not in the zone, time crawls and I can’t type for nuts. I also need to leave something and come back to it after I think I’ve finished it so that I can see how crap it really is and then work on it some more. That’s my lot. Thanks to William Gallagher for making my erect this shaky little lemonade stand on the blog tour route. I hope my product doesn’t give you tummy-cramp or make you wee excessively further down the road. I rarely get the urge to write reviews of stuff these days. I have to love something very much or else I have to be divided in myself about how much I actually like something. Today it’s that latter sort-of-a-thing. Last Thursday evening, ‘War Horse’ was transmitted live from The New London Theatre to loads of cinemas all over the place. One of the places happened to be our local Multiplex here in Castlebar. Trish and I went along with a medium Coke and a large bag of Maltesers to share. 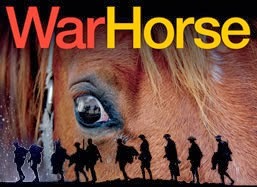 I have wanted to see War Horse for the longest time. The snippets of visuals and stills I have seen here and there had made me highly curious, particularly about the production and the staging. The touring production arrives in Dublin next month for a lengthy run but, for various reasons (money) I didn’t think I’d be able to get to see it in the good seats I know I would require. So this cinema-showing suited me just fine. I saw Frankenstein in this way on Paddy’s Day two years ago (that probably means it was actually three years ago but hey-ho) and I thought it was bloody magnificent. So, what about War Horse, Ken, now that you’ve finally seen it? What do you reckon mate? Eh? Eh? I liked it. I liked it very much. I have reservations, which is why I’m driven to scribble about it but I did like it a lot. For me, the absolute star of the show is the production itself. Wait, let’s boil that down some more. For me, the absolute star of the show is the horse. No, let's boil it down just one more time. For me, the absolute stars of the show are the puppeteers who animate the horses. There, I’ve said it (finally). The horses are puppets, as you all know. And the puppeteers, as you may also know, hide in plain sight. Dressed in full character costume, they ‘work' the horse with evident focus and physical exertion. At first they seem obtrusive and obvious there on the stage but, as the story unfolds, they ‘become’ the horse and the horse ‘becomes’ them. It is quite an extraordinary thing and it is, I believe, the reason that people come back to see ‘War Horse’ time and again, even if they do not realise it. You see, the puppeteers don’t just operate the horse. They are the horse. When the central character addresses his beloved Joey, the puppeteers do not so much try to make the puppet respond. They are right there themselves responding on behalf of the puppet. Not only are they moving a horse puppet, they are the personality of the horse. They snort and screech and bellow. They show impassiveness and fear and anger as required. We the audience see the horse created by this amazing melding of puppet and puppeteer and the result is simply astonishing. I would gladly go back to see that symbiosis happen again and I am sure I would be equally fascinated by it. In truth, I would now like to go to Dublin and sit in the front row and see it in that way for myself. I would like to smell the sweat that must come from the performance, feel the horses hot breath on my face, and be lathered with the snot and saliva that emanates from those symbiotic animals on that stage. I know, ew, right? That was the limit of the cinema screening of the play. What was missing was the sense of being locked in the room with these enormous animals. The actual ‘feeling’ of them rather than simply the ‘seeing’. There were other good things too. The singing fitted perfectly and was beautifully performed. The staging was imaginative and the ‘torn paper’ theme simple and extremely telling and memorable. Great. What didn’t you like, Ken? Tell us that. Right. The story. The story is on-the-nose and not really novel enough to be engaging on its own. Things seem borrowed and derived from elsewhere. When the sergeant tells how he is not an officer and that he actually works for a living, we feel we’ve heard it before, even if we don’t know where. Also there are moments such as white flags of truce across the trenches which, dare I say it, almost feel clichéd. There is that curious matter of threat too. For me, the first act works better than the second. The first act contains a simple threat which engages the audience well. ‘The hero will lose his horse unless he can…’ It’s only a small thing but it engages our storytelling requirement for obstacles and hurdles. Curiously then the second act seems almost threat free even though the entire world at war stands between the hero and his horse. Thinking about it, I reckon the threat in act two was simply too large for we the audience to grasp hold of. We needed something human and bite sized to engage with, like we had before the interval, and it just wasn’t there for us. There was spectacle and horror and friendship aplenty but there was also this lack of human-scaled challenge and that gap was populated by a line of characters who did not seem bridled to the narrative in any meaningful way. The horses were the undoubted star. In an interval discussion, one of the directors indicated that they had been specifically looking for a project where they could work with Handsprung, the South African puppeteers. This makes perfect sense to me. The show starts and finishes with those guys and their creations. There is one moving scene in the play where a horse dies and the puppeteers gently abandon the horse puppet, rather like a soul leaving a body. Therein lies the truth of the matter. Those guys are the soul of the whole thing. So that’s it, in a nutshell. A flawed story, brilliantly played and extraordinarily well produced. It was those horses, though, and the people who stood beside them and in front of them and beneath them. They were the ones who made it all so wonderful. Oh and the goose was great too… obviously.